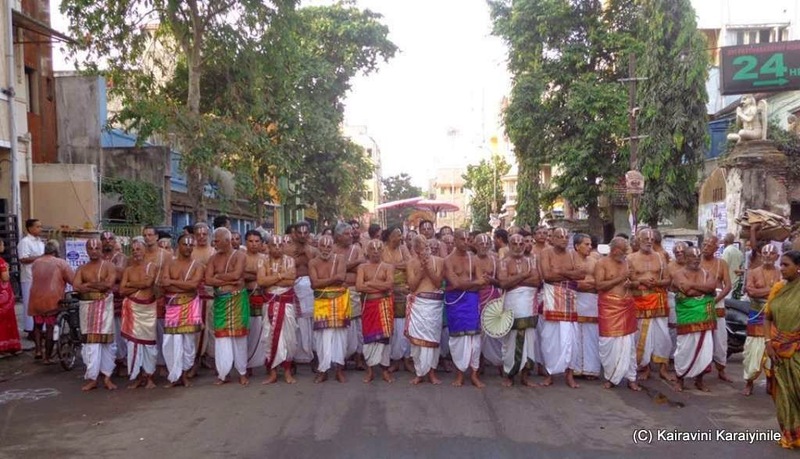 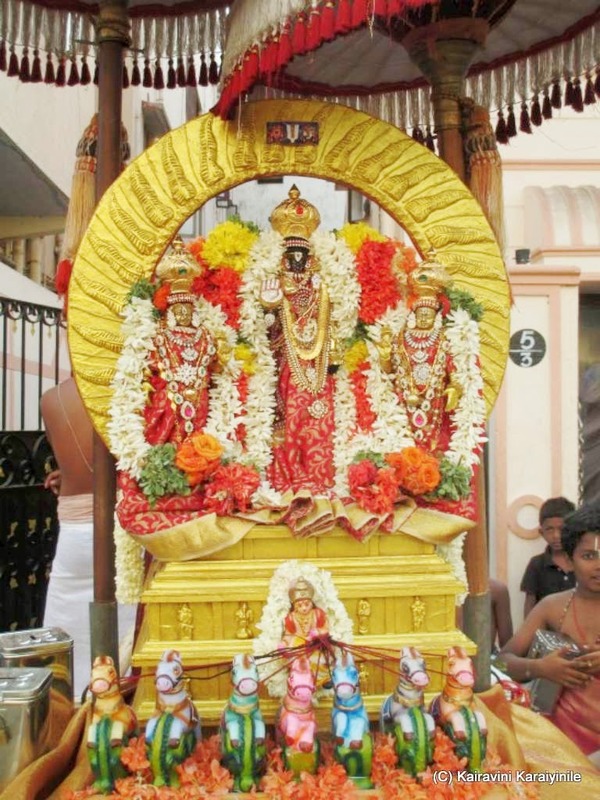 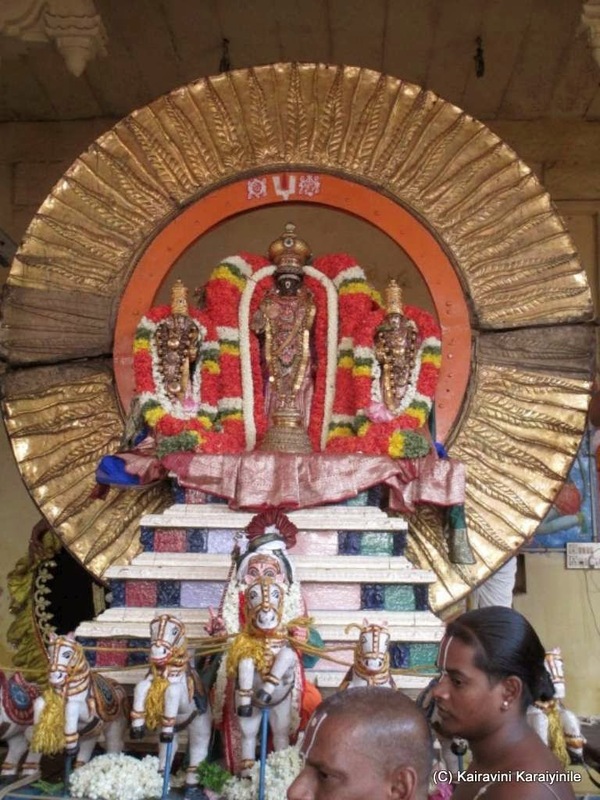 18th April 2014 is day 4 of Brahmothsavam of Sri Parthasarathi Perumal at Thiruvallikkeni. 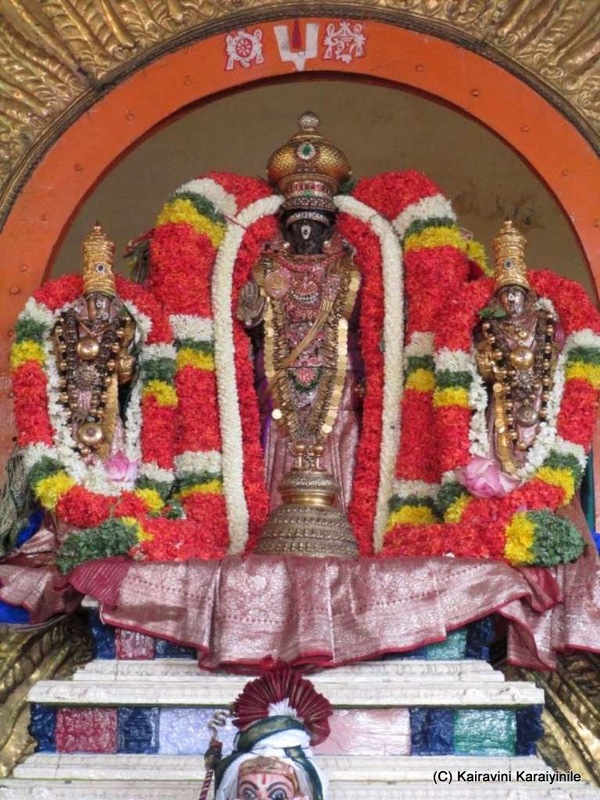 Here is one reference found in Muthal Thiruvanthathi, where Poigai Azwar says : ~ all rivers naturally wound their way towards the mighty Ocean, the blossoming lotus blooms upon the sight of the Sun high above; the life finally gets to Yama Dharma ~ so also those with wisdom would only look to the Lakshmi Manavalan (the Supreme God, who is the spouse of Goddess Lakshmi) for realization. 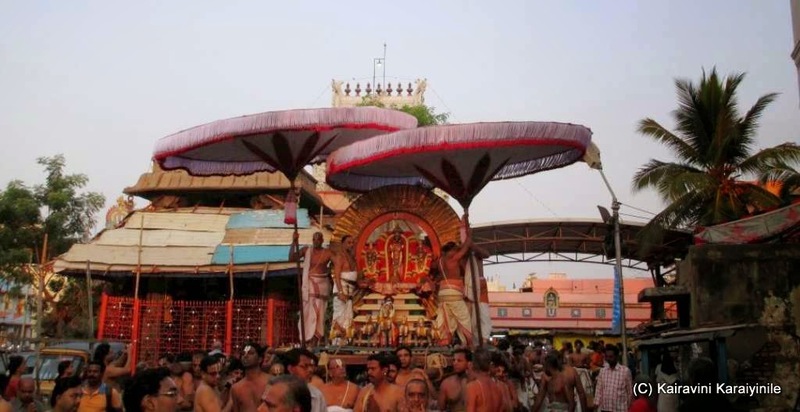 This morning it was Surya Prabhai representing the Sun chariot pulled by 7 horses. 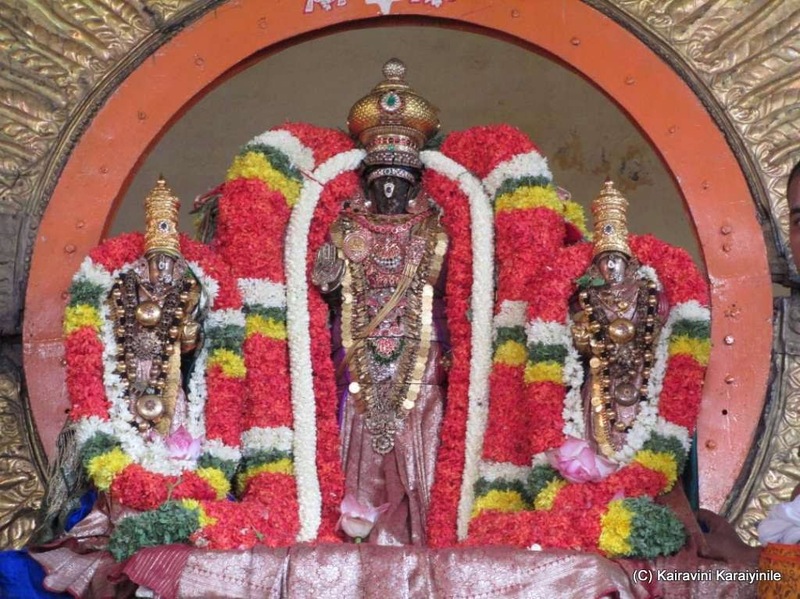 The radiance of Sun simply got overshadowed by the brilliance of Perumal. 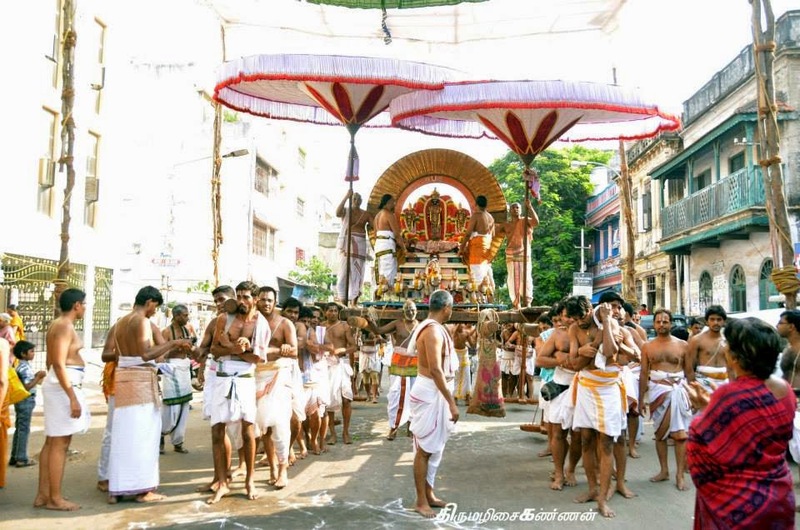 Centuries ago, Thiruvallikkeni was such a pleasant garden with dense vegetation that Thirumangai Azhwar described it as ‘இரவியின் கதிர்கள் நுழைதல் செய்து அறியா திருவல்லிக்கேணி” ~ the Thiruvallikkeni where the grahanams of Suriyan could not venture inside……Today, it is a concrete jungle with so many flats, vehicles and over-crowded that there is not proper space for the Perumal purappadu – of course in tune with its older leanings, cattle still remain………….